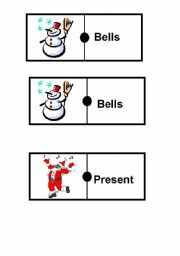 You can use it as an advent calendar or to practice numbers or structures like "Snowman is in number nineteen"
Second part of a funny wheel to check the verbs forms(to be) until you can memorise them. 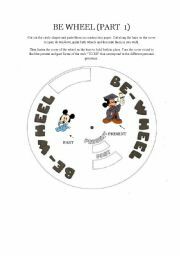 First part of a funny wheel to check the verbs forms(to be) until you can memorise them. 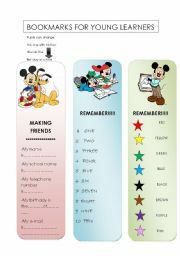 Bookmarks for young learners,with personal information, numbers and colours.Very simple but useful for children from 5 to 8 years old. 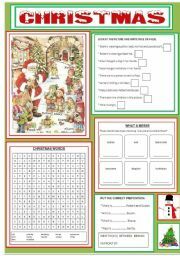 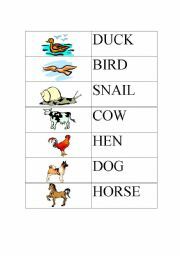 You can use this WS with young or special pupils.It´s useful too for pupils with attention problems.I hope you find it useful.Merry Christmas everyone. 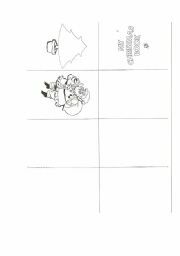 Colour and complete with more pictures this christmas book.Enjoy it!!! 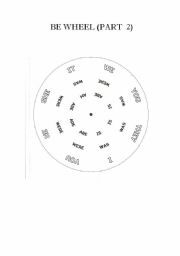 This one is the typical game of the dominoes. 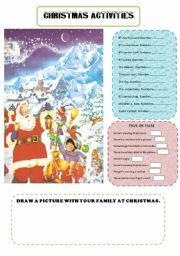 The pupils will enjoy playing this time in English with words related to the Christmas and attractive drawings.